Will blockchain play a pivotal role in the future of Internet security? As technology develops, more and more businesses have found themselves under threat from intricate cyber attacks. Last year, UK government statistics found that around seven in 10 large companies have identified some form of breach or attack on their systems, and nearly half of all UK businesses experienced some form of security threat. Fortunately, while the power of technology available to hackers increases, so too does the quality of defences available to protect the sensitive information stored within companies worldwide. Arguably the biggest development in cyber safety since the advent of the internet comes in the form of blockchain - a cryptographical system that was seldom talked about before 2017. Today, although its full strength is yet to be realised, it’s hard to envisage a future of internet security without blockchain playing a pivotal role. A blockchain is, fundamentally, an intrinsically linked chain of nodes that stores information. The content stored in each ‘block’ cannot be retroactively altered or tampered with unless the user changes the data held in every preceding node before and after it - which requires the consensus of an entire network to take place. 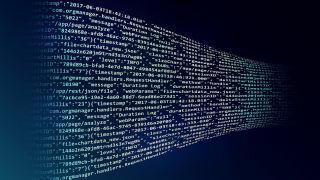 This makes blockchain technology virtually immutable, and thus an extremely powerful tool in the fight to maintain cyber security across businesses. If correctly harnessed, blockchain has the potential to prevent data breaches in businesses as we know them today. Business.com identifies blockchain as a cornerstone in ensuring secure everyday business activities as well as using the technology for leveraging initial coin offerings, or ICOs, as a means of raising capital. The website notes that the potential is huge for a future intertwined with blockchain, and highlights the increased security behind the transactions your business makes as a key facet. Fundamentally, businesses that utilise blockchain will see vast benefits over the security of transactions, they can lower overall fee costs and even reduce any potential lag or downtime for their supply chain - the technology also enables swift and more accurate transactions that will be far more immune to hacking attempts, fraud or theft. Blockchain not only aids transactions that are entirely free of third-party influence and interference but also brings unparalleled levels of transparency to your business processes - something that’s highly valued by consumers and stakeholders. Data pertaining to payments, shipments, and just about any other transactional information would be updated automatically in real time, allowing businesses to have full access to accurate and up-to-date information that’s capable of cutting down administrative time and expenses. Blockchain’s potential is huge. So there’s little wonder why there’s something of a gold rush developing among organisations aiming to utilise the benefits of this technology and package them for businesses accordingly. Organisations like Remme and Acronis are looking to make strides in providing blockchain-based security solutions for businesses. By leveraging the technology, Remme, for instance, has created an access management system that makes the use of passwords as login tools a thing of the past for businesses. While Acronis utilises blockchain to create advanced and swift backups for the delicate information that businesses hold. Finding a way of keeping data protected within businesses that could supersede password systems that are vulnerable to hackers and human error (weak passwords could undermine an entire level of security within a company), has been paramount for decision-makers in business, and it’s looking like blockchain possesses all the answers. 2018 has been a difficult year for data security within businesses, but Santhosh Palavesh, the Chief Innovations Officer at Belfrics Group is buoyant that it’s only a matter of time before blockchain’s potential is finally realised and utilised as a highly effective solution: “As a technology, which is growing in popularity across the world, blockchain seems to be the ideal platform for companies to store their huge amount of data. Blockchain is not only secured, reliable but also transparent which makes it even more appealing to companies,” Pavalesh explained to Entrepreneur. As technology develops in aiding hackers intent on forging data breaches across big businesses, it’s refreshing to know that there are also developments that will keep us protected from such attacks. The onus now lies with business decision makers in understanding how blockchain is capable of serving their company. A new era in cybersecurity is just around the corner.